UPDATED: Fri., Aug. 24, 2018, 1:45 p.m.
White House officials declined to specify what prompted Trump to call off Pompeo’s trip or what had changed since the president’s rose-colored-glasses assessments of the nuclear situation just days ago. Although it has halted nuclear and missile testing and taken some unrelated steps – dismantling portions of a missile engine facility and returning the suspected remains of American servicemen killed during the Korean War – its nuclear weapons program and ballistic missile development remain intact, according the U.N.’s atomic watchdog and intelligence agencies. 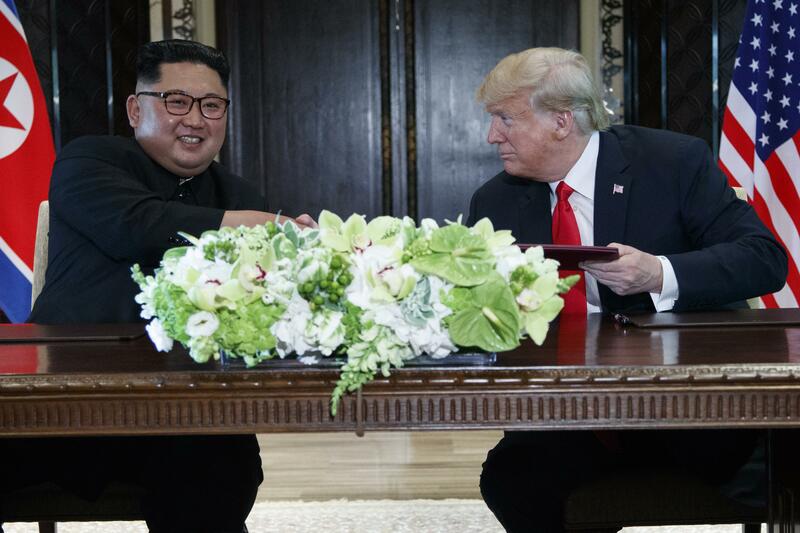 In addition, recent statements from North Korean officials have ruled out any new concessions until it sees a reciprocal gesture from the U.S. beyond suspending military exercises with South Korea. North Korea has been demanding that the U.S. ease or lift crippling sanctions – something Pompeo and national security adviser John Bolton have flatly ruled out until the its nuclear program is fully and verifiably dismantled. Published: Aug. 24, 2018, 11:05 a.m. Updated: Aug. 24, 2018, 1:45 p.m.